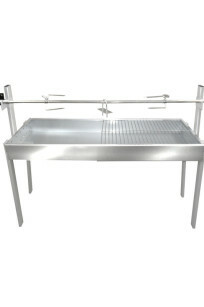 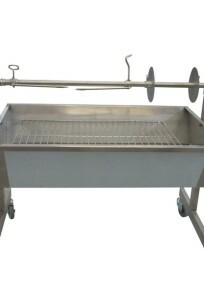 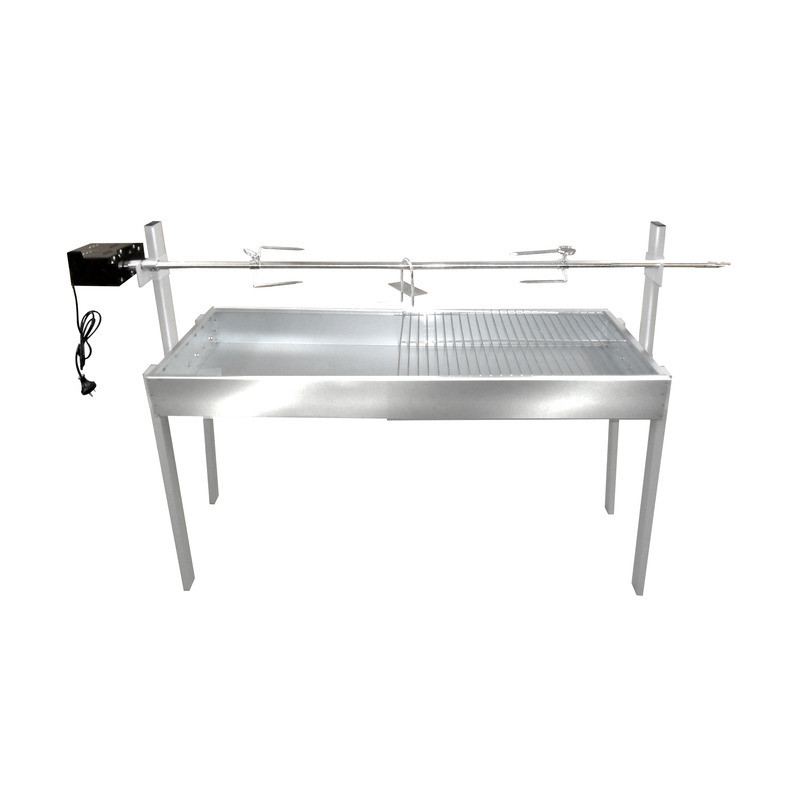 The Warrior Heavy Duty spit rotisserie includes everything you’d ever want included in a rotisserie set including high quality stainless steel accessories, heavy duty solid frame, full length charcoal/drip pan, detachable side and rear wind protection, handles and wheels for ease of maneauverability, a heavy duty 40 kg* motor and adjustable height functionality to suit all rotisserie users. 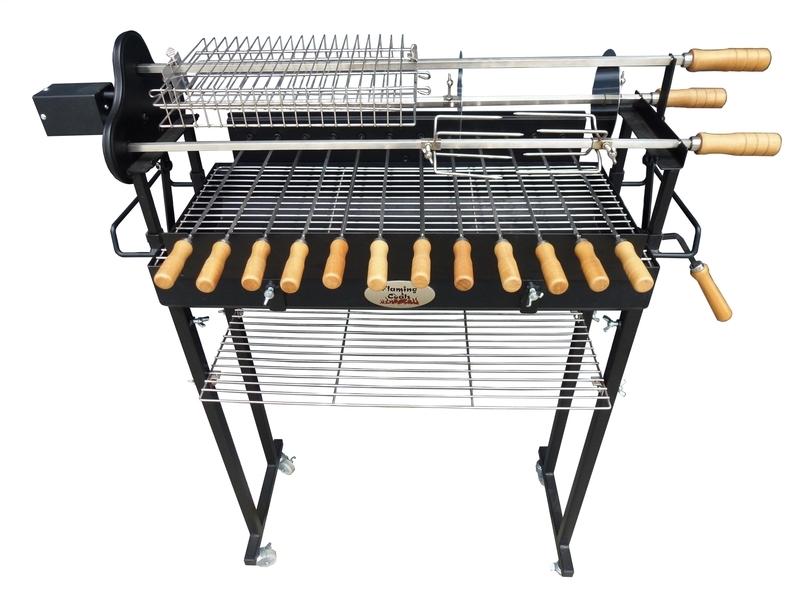 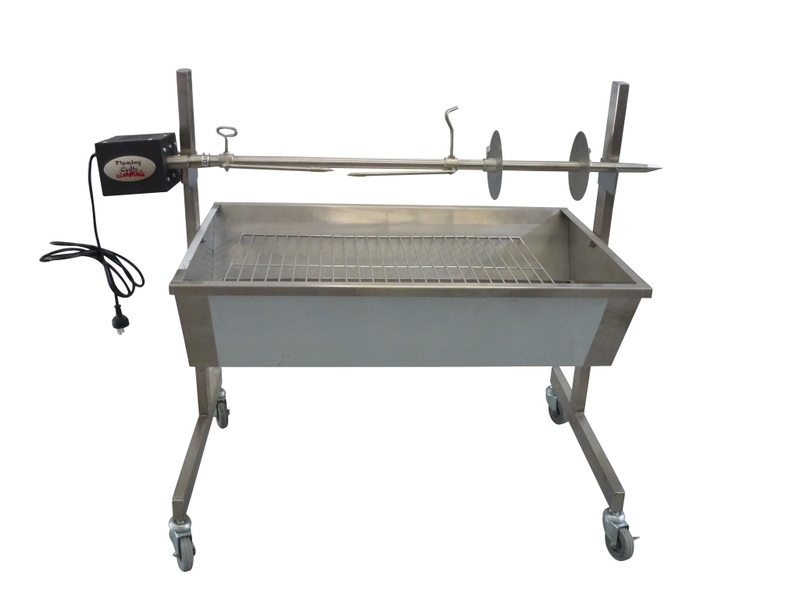 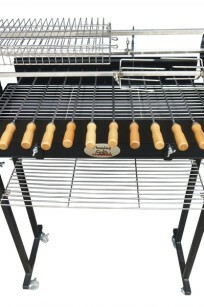 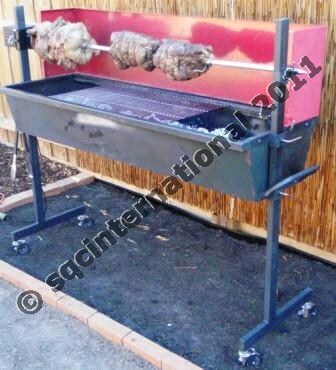 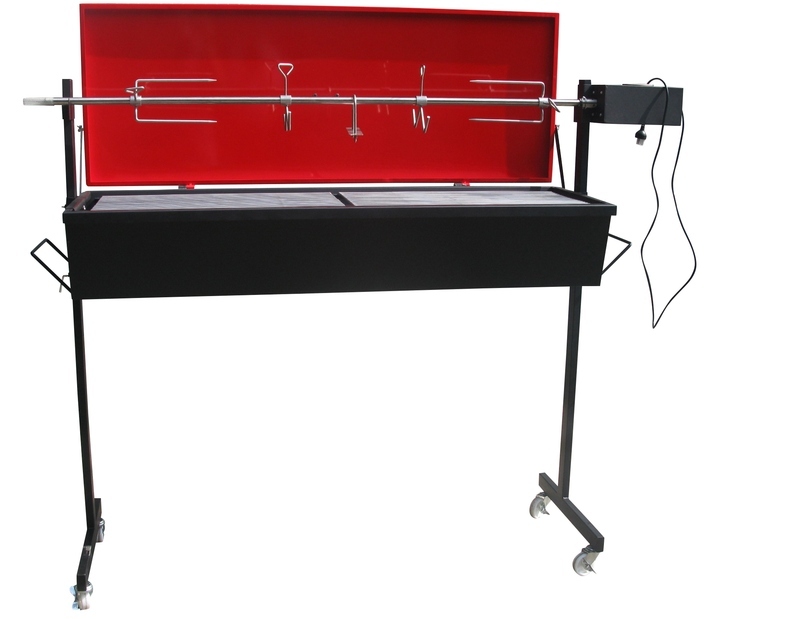 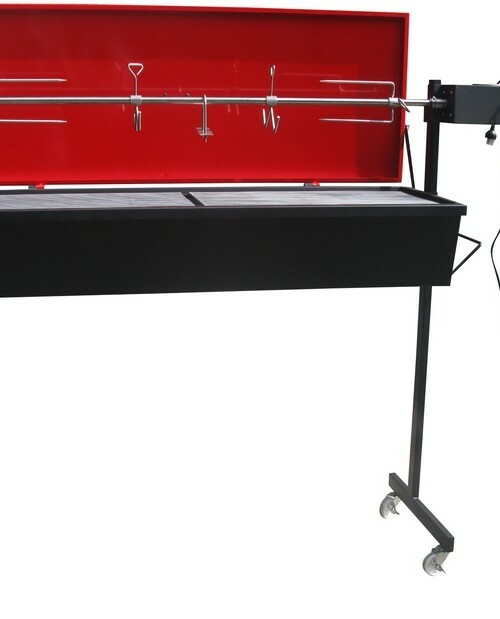 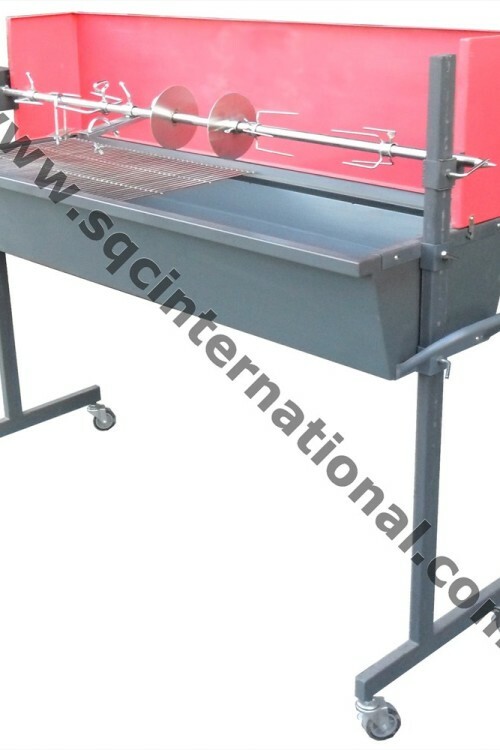 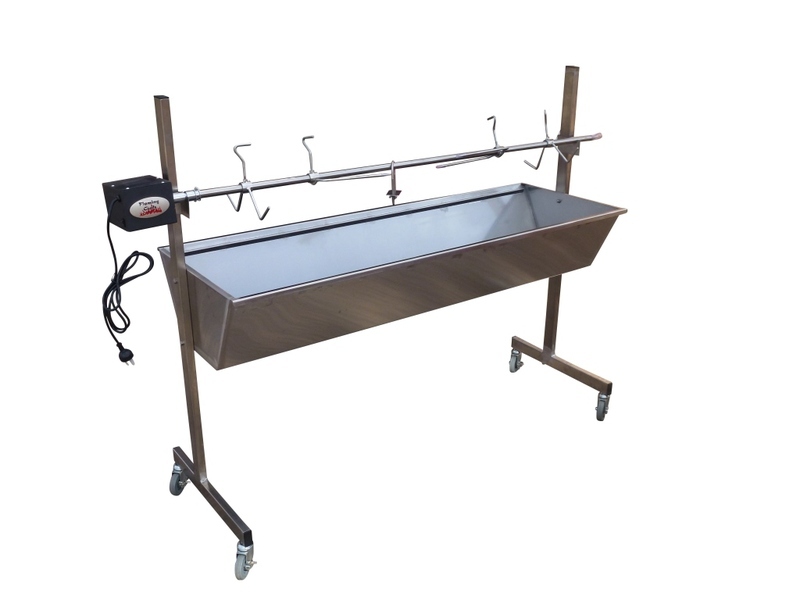 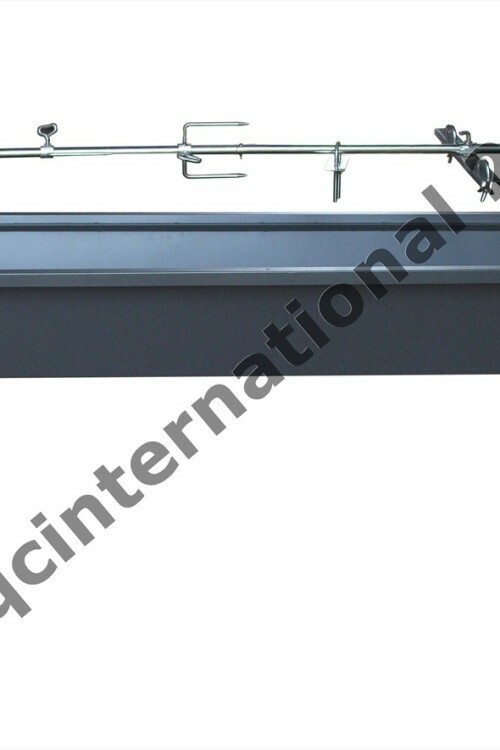 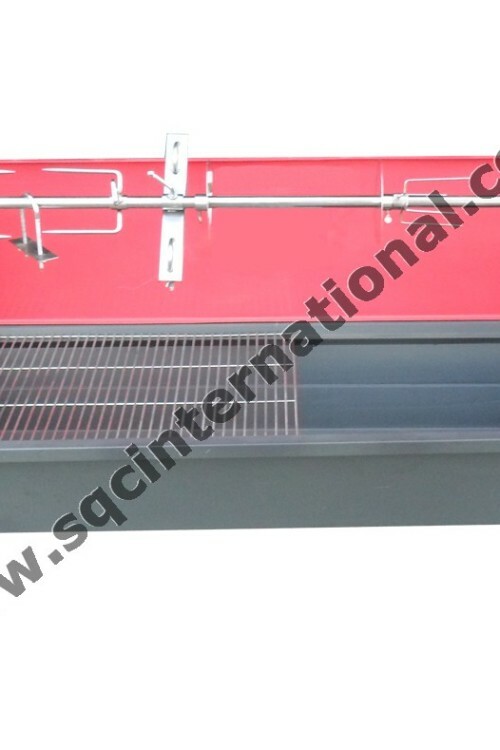 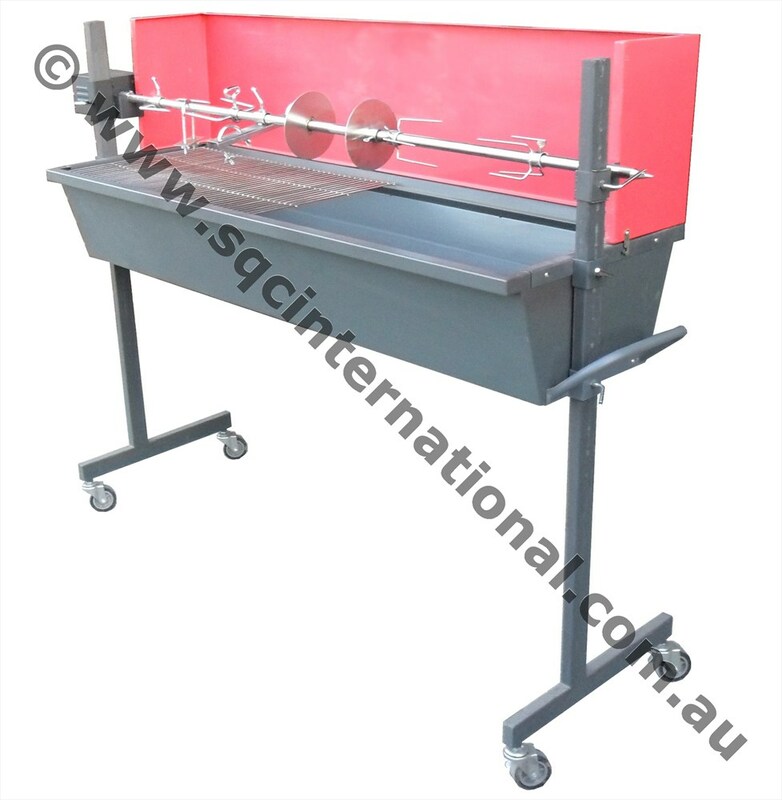 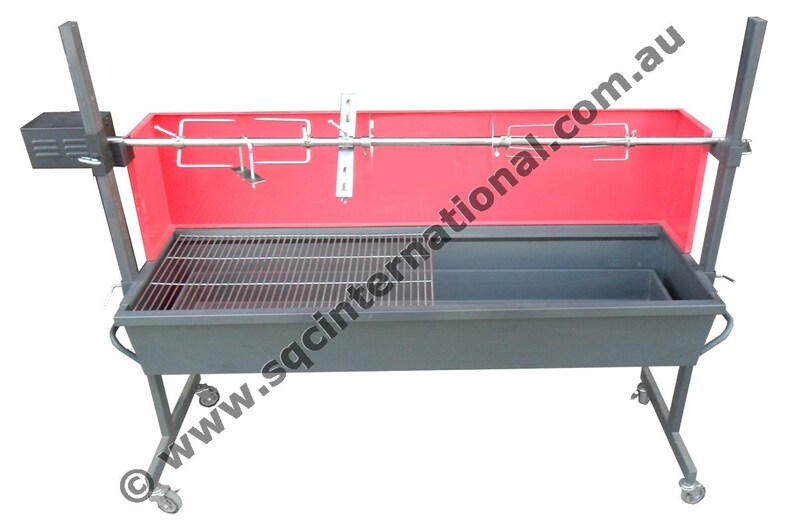 The height the skewer sits over the charcoal can be adjusted by sliding the brackets which hold the skewer along the upright pillars making its only to set up the spit to suit their own personal requirements. 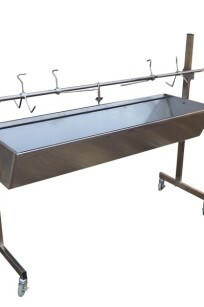 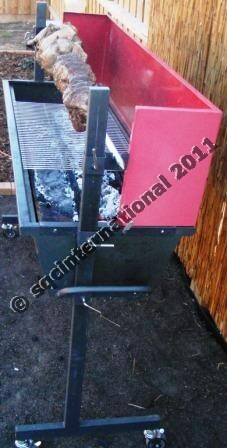 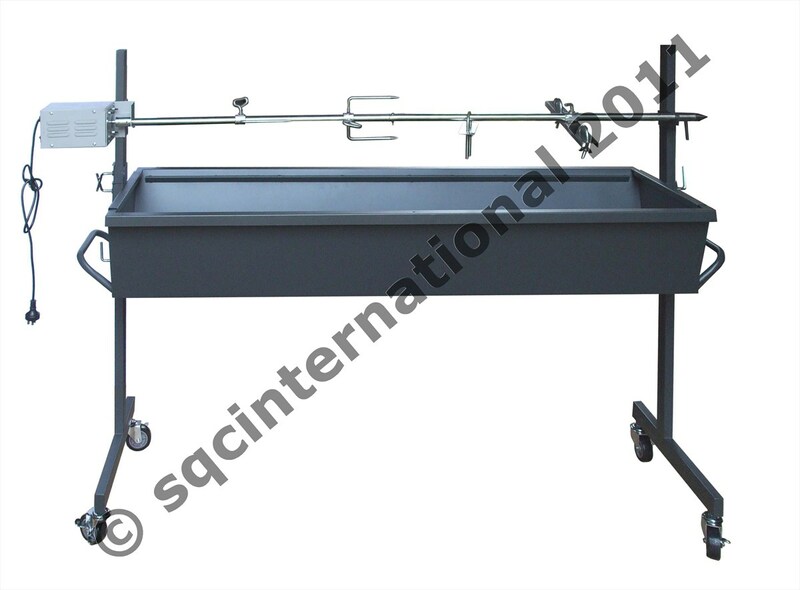 Has handles on either side and 4 durable wheels to make maneauvering this spit once assembled a one man job!